AUSTIN, Texas, Dec. 28, 2017 /PRNewswire/ -- We're hoping that your holiday was filled with food, family and a much-needed break. Now—if you can still handle it—let's talk shopping! Because gifts have already been exchanged, post-holiday sales are perfect for treating yourself. 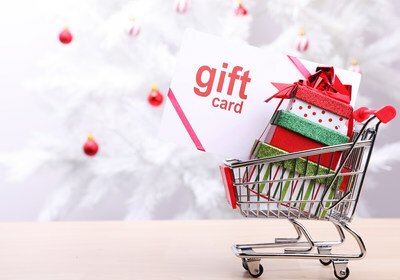 "After-Christmas sales are a great time to take advantage on purchasing apparel, beauty, toys, video games and more," says RetailMeNot's Shopping and Trends Expert, Sara Skirboll. "With January around the corner, be on the lookout for even more discounts on fitness equipment and apparel, furniture and home improvement and the famous white linen sales." Whether you have saved some cash or Santa dropped off a few gift cards, you want to make sure you spend wisely. RetailMeNot has compiled a list of the best bargains that we already know about, but note that we will be updating this list as more sales are announced. Be sure to check back on the RetailMeNot blog, The Real Deal, for the full list. American Eagle: Get 50% off The Holiday Collection. Aéropostale: Save up to 80% off all clearance. Express: Take an additional 30% off clearance for up to 60% off. Festive Lights: Grab up to 70% off in the big winter sale. Home Depot: Shop up to 50% off select Christmas trees, lights and decorations. JCPenney: Get up to 50% off in the after-Christmas sale. H&M: Prices will be reduced by up to 70% during H&M's post-Christmas sale. Kohl's: Get up to 70% off clearance. LOFT: Get 50% off sitewide. Macy's: Save 20% off and get $10 off your purchase of $25 or more. Neiman Marcus: Expect to save up to $100 off your purchase at this luxury retailer. Nordstrom: Save up to 50% off at Nordstrom's half-yearly sale, with free shipping and returns! Old Navy: Save up to 60% off the entire store. PacSun: Get up to 50% off select styles. Target: Save up to 25% off on storage and up to 30% off on bed and bath items. Get an extra 15% off with this code. Walmart: Get up to 85% off electronics. World Market: Save 15% off sitewide.